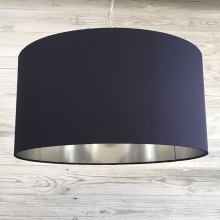 A luxury drum table lampshade made in deep navy cotton and finished with a hand rolled edge complimenting the shade. 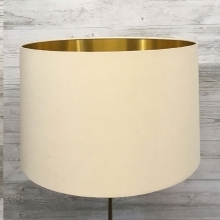 This ceiling shade is lined in a gorgeous brushed silver material giving a fresh bright feel when lit. Size: 14" 16" 18" 20" 22" 24" 28" 32"